I have been reading a lot about cell phones and radiation which has caused me some concern. In an article I found at Treehugger.com, San Francisco for example, “has voted overwhelmingly in favour of a law requiring retailers to display the amount of radiation emitted by cellphones”. That article along with several others that have crossed my path recently have led me to make a few changes that will help decrease the amount that I am exposed to and you too. To see what your cell phone’s SAR (specific absorption rate) rating is check out this link. Look at the wind turbine I saw when I was home for my 20 year class reunion over Labor Day weekend!! So proud of my hometown!! 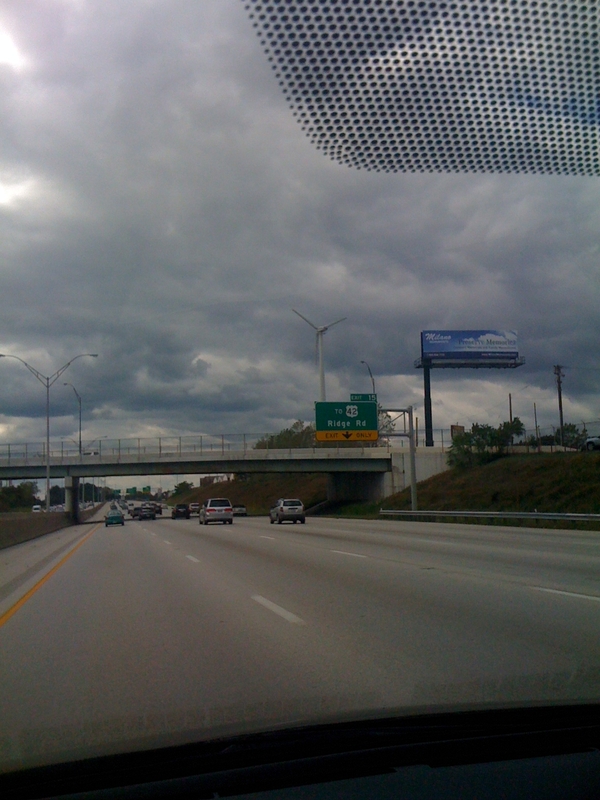 Pearl Road Auto Parts and Wrecking, a Cleveland Ohio based and fourth generation family owned automotive recycling company located at 5000 Pearl Road, was the first commercial business in Cleveland to not only install a wind turbine but to also have it connected to the power grid. The PearlWind turbine sits 140 feet in the air with a blade tip height of 170 feet which creates enough electricity to power 12 average American homes for a full year. The Average American home uses roughly 1,000 kWh (Kilowatt hours) per month. This equates to an approximate electricity savings of 75 percent for this 83 year old business and what the owners call a sound business move with an expected payback within 5 years.